I'm in Orlando this week and spending time at Disney World and the beach. 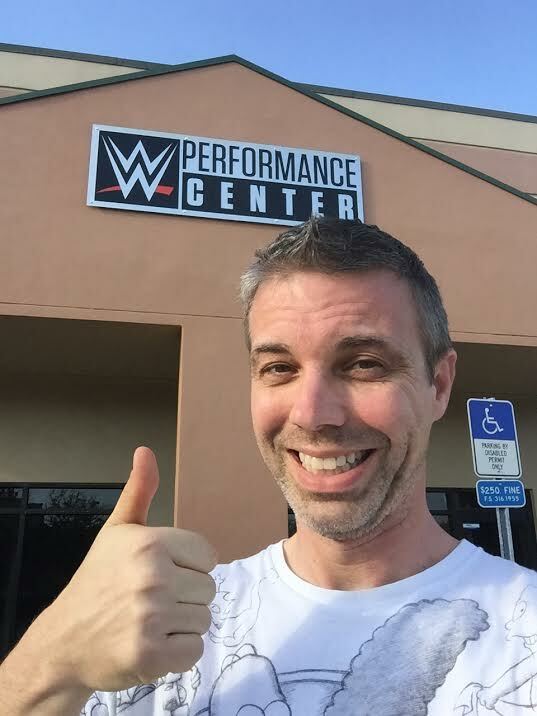 Since there was a break in our schedule Monday afternoon, I decided to drive over to the WWE Performance Center. 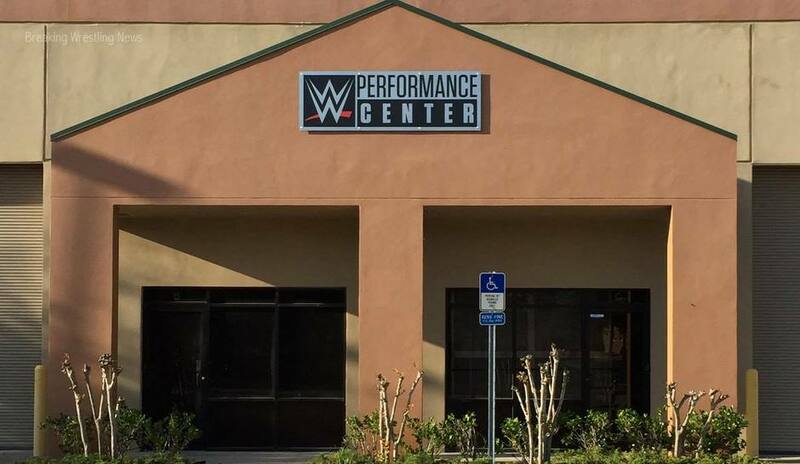 I'd tried to make arrangements to get a tour of the facility before we came to Florida, but WWE doesn't do that. 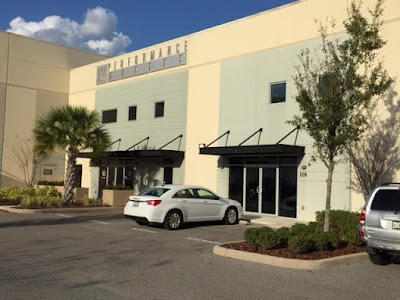 So I hopped in my car and spent nearly an hour in traffic heading to the facility that trains the Superstars and Divas of tomorrow. I had no idea what to expect when I got there or what I was even going to do. The first building I saw with the WWE logo on it and the words "Performance Center" didn't look like much. What was even more surprising was the lack of cars in the parking lot. But I decided to walk up to the windows and peek inside. It was a large room filled with tools and equipment and an NXT box truck. I took a few pics from the parking lot and while doing that, a big white pickup truck pulled in. The man behind the wheel was large and covered in tattoos. He had a man bun too. I didn't recognize him. But I'm guessing he was a trainee. When I pulled out of the parking lot, I glanced to my left and there was the ACTUAL performance center. Because there were a bunch of cars in the lot, I debated if I should pull in too. I did and took a few more pictures before noticing the sign on the door "No Soliciting". I wasn't soliciting, but I was loitering and didn't want to cause any trouble. I'm pretty sure NXT commentator Tom Phillips left the building while I was there. Again, trying to not look like a crazed fan, I quickly walked back to my car and noticed Norman Smiley. The street I tried to leave on was a dead end so I had to go back around. Leaving the facility was four or five cars. I didn't recognize anyone behind the wheel, and as I made my way out the cars, led by Smiley followed behind.